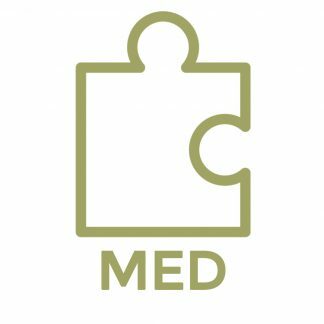 An accessible and engaging overview of Ontario family law, this course is designed for anyone seeking to become an accredited family mediator, parenting coordinator or arbitrator, who does not have a family law background. The primary purpose of the course to learn how to ensure that clients understand the legal implications of any potential settlement options. *30 hours of family law training is required by the Ontario Ministry of the Attorney General for anyone providing Parenting Coordination and Family Arbitration services. As well, the Riverdale Mediation Internship Program requires applicants to have at least 30 hours of family law training. This course is required for professionals who are not family lawyers and wish to register for our Basic Family Negotiation and Mediation course. Overall amazing course. Jam-packed with information, well-paced, great discussions. The remote format was very successful. Hilary did an exceptional job answering all our questions and keeping us on track. The summary test questions really helped as a review of each day's content. I really enjoy the personal interactions and getting to know my instructors and fellow students. Exceptional speakers combined with Hilary's great instruction and feedback made for an amazing day. An excellent overview of the field as a whole! Exposure to foundational issues, confidence in instructors. An extremely well-balanced approach of the breadth and depth of family law that can be covered in a 30-hour course. Generally, I found it informative and detailed enough to feel (like) I have a grasp of the legal concepts. Presenters were positive yet realistic, and answered questions well and interacted with each other well. Hilary’s passion for the field is infectious and so evident in how she presents her material and in the fantastic guest speakers who we had the pleasure of hearing. 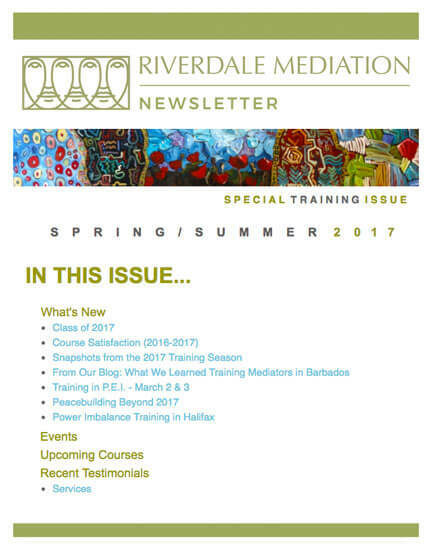 It is understandable why Riverdale has a great reputation as the foremost in Mediation education. The facilitators were all excellent. It was very educational to have different presenters. Level of knowledge was very high. All were able to explain complex concepts into understandable English. Really enjoyed hearing from different speakers – broke up the day. Appreciated the professional stories; humour is great! Content was great. Instructor’s worked towards need of the students, based on what their needs would be. We provide high quality mediation, arbitration, parenting coordination and training services.